Happiest of Fridays, friends! I hope you had a good night’s rest and a healthy breakfast, because it’s about to get serious around here! Today marks opening day of the Nordstrom Anniversary Sale (the last week has been just for cardholders…now it’s open to EVERYONE!). For the handful of men readers out there, this is basically the equivalent of the NBA and NFL Drafts…on Super Bowl Sunday. Get my drift? It’s BIG. 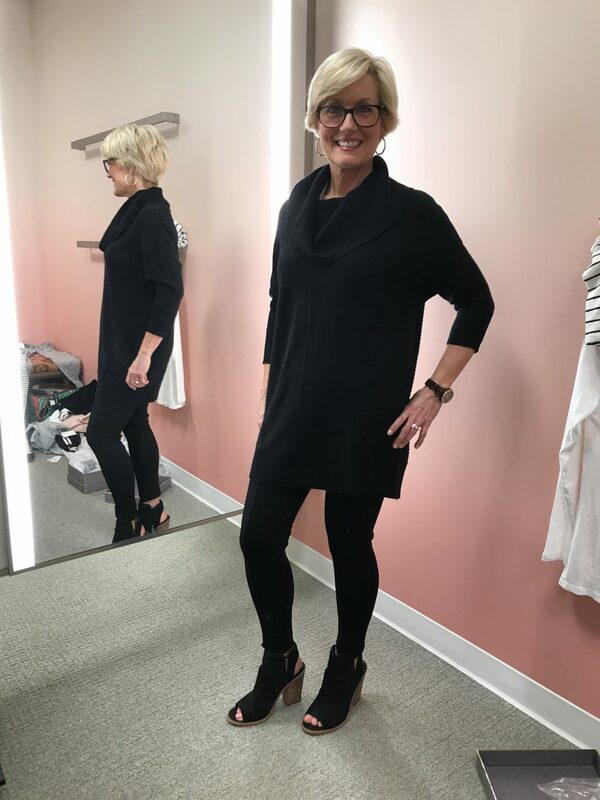 And lucky for you, I’ve got a monster-sized Dressing Room Diaries today, featuring more of my favorite finds from the sale (see Round 1 of my reviews here and here). I tried to style most of them head-to-toe with sale items, including boots, jeans and jewelry, so make sure to check all the links! Per usual, the shots aren’t good, the lighting is bad, I’m in desperate need of a hairbrush, and many of the items aren’t a good fit for me…but it’s real life, real girl, real clothes…and hopefully helpful for you to see them this way, instead of perfectly styled on a model. And you’ll be thrilled to know Mama Sugarplum came, too! Let’s get after it, shall we? 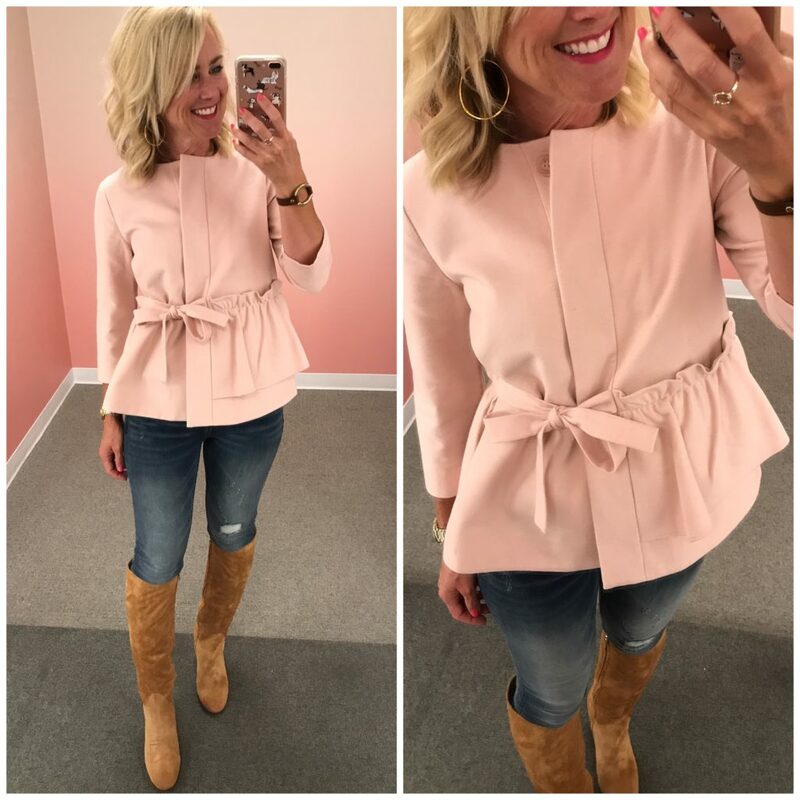 As usual, let’s start with the item that had my heart racing most…this ruffle jacket! The ruffle extends all the way around the back creating a slight peplum shape…so flattering for creating a smaller waistline! It’s a thick, brushed fabric that’s soft to the touch, but the jacket is fully-lined, as well. I’d wear it with jeans, slacks or a pencil skirt. The jeans are a great mid-rise, sitting comfortably at my natural waist, with just a touch of distressing. (I’m wearing them in virtually every pic today!) And the boots are simply gorgeous…so expensive-looking, right!? This caramel shade is stunning and such a great neutral. 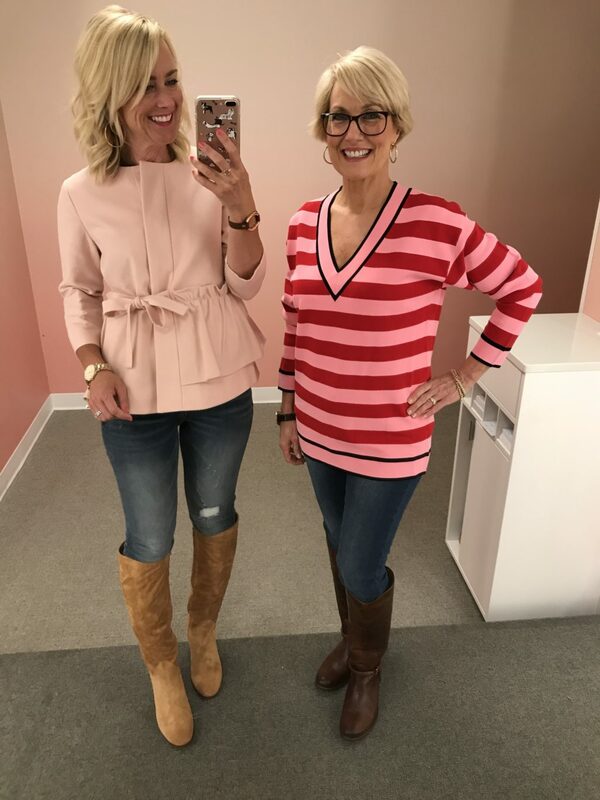 Fit Tip: The jacket runs large, I sized down to an XXS petite. The jeans and boots are true-to-size, but if you have really athletic calves, these boots might be too tight in the shaft for you. 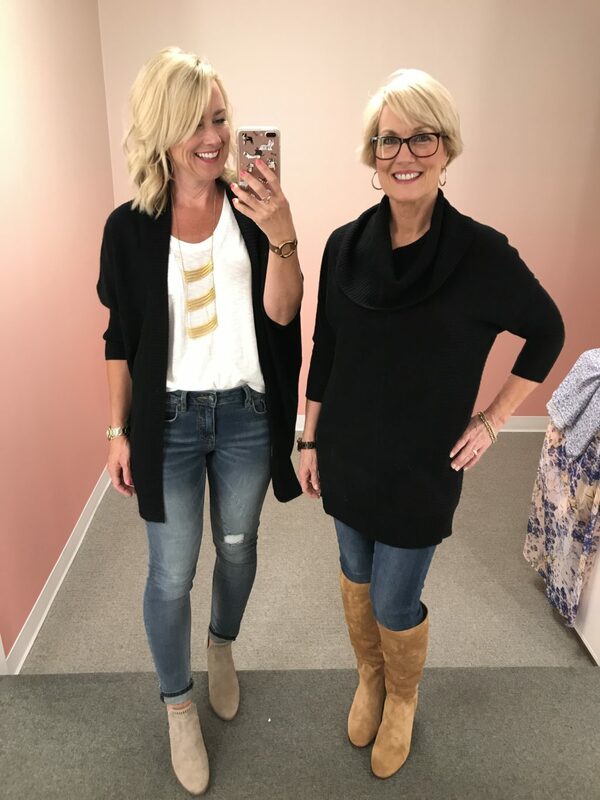 This sweater is one of Mama Sugarplum’s favorite brands, so she actually picked it out for us to try. Twist my arm, right?! I’m, of course, crazy about the candy colored stripes. It’s beautifully made, soft and stretchy, and thick enough to layer over another shirt. These boots have an almost cult-like fan club, so I had to try them for myself. They are, indeed, stunning…and the kind you’d have forever and they’d only get better with age. Fit Tip: The sweater runs large, I’m wearing a Petite. The boots are true to size. Warning: the bottoms are crazy-slick when new, so make sure you scuff them up! 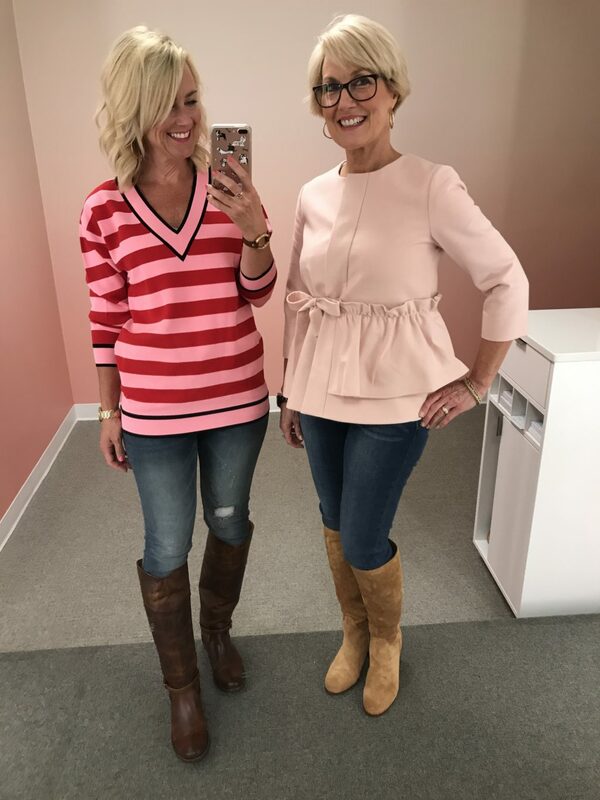 And here’s my darling Mama SP in both sweaters…she’s wearing the same size I tried on above. The riding boots look big on her calf because she’s wearing the wrong size for her. 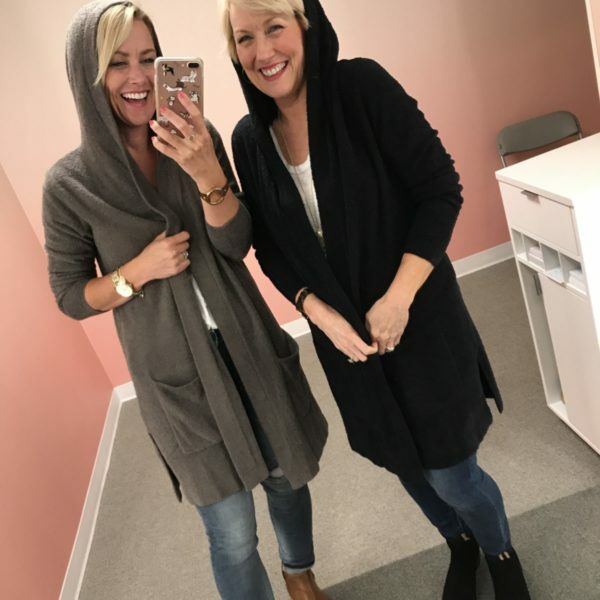 Moving on to my hands-down favorite item in the entire Anniversary Sale…this cozy, cuddly, hooded cardigan. Mom is already a fan of the brand (I got her this one for Christmas last year), but we agreed this updated one is even better. Seriously, it’s the softest thing you’ll ever own. I’ve already been wearing it daily around the house, and it washes and dries beautifully! 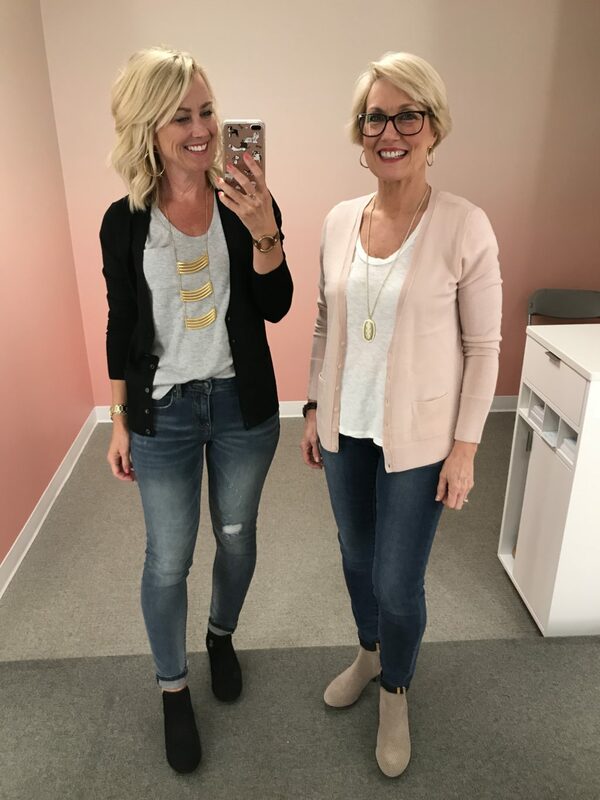 We’re wearing the same tees…which we both already owned because they’re our faves…and both stocked up on new colors in the sale! 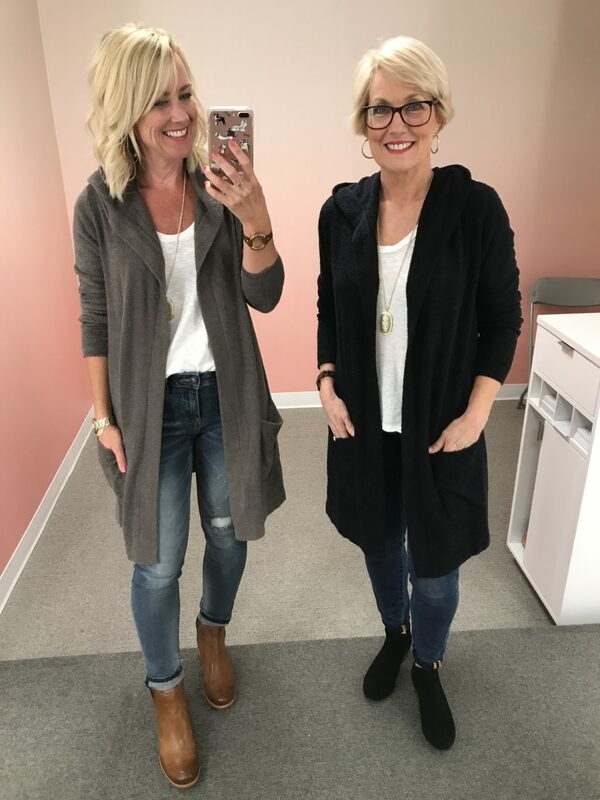 Fit Tip: We’re wearing the XS/Small in the cardigan, and XS tees. I almost didn’t order this blouse based on the website pics (everything in today’s post was ordered online, not available in my local store), but I’m so glad I decided to try it for myself! The ruffle detail gives it a feminine flair, but doesn’t overwhelm my frame. It’s perfect for dressing up or down, too. 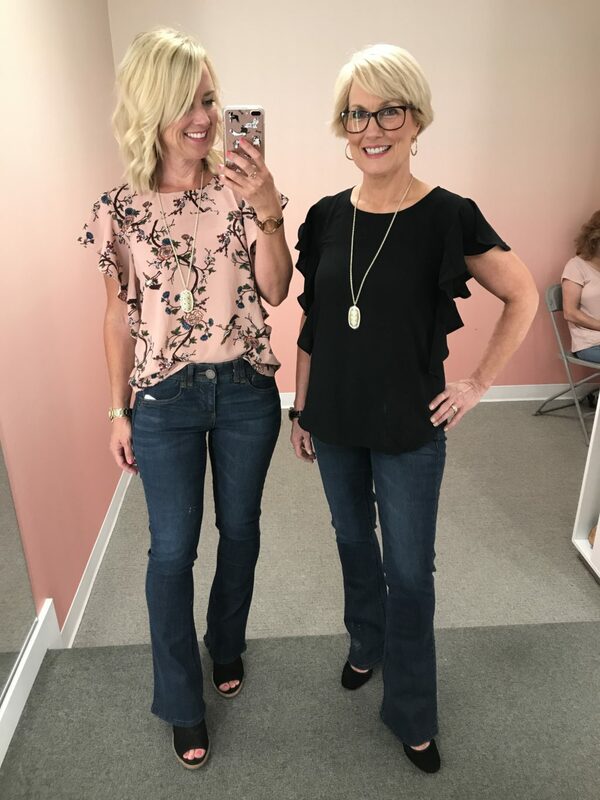 As for the bootcut jeans, they are absurdly soft and comfortable, and have an amazing waistband ‘technology’ that holds and hugs…but for some reason were a little short on me with heels. I do love the rinse and mid-rise though. And the peep-toe booties are perfection…a definite must-have from the sale. Fit Tip: Both are true, I’m wearing an XS top and regular 2 jean. 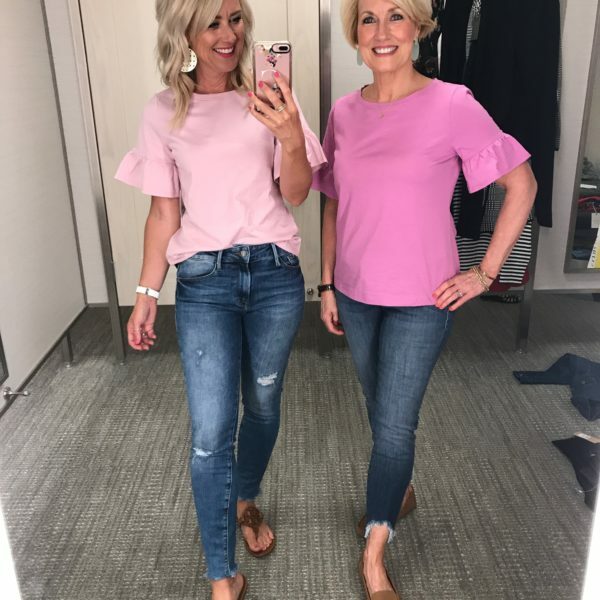 Here’s mom in the same top and jeans…darling, right?! She paired hers with gorgeous velvet pumps with a comfy, sturdy block heel. The regular sized jeans were the right length for her, but we both agreed we prefer these bootcut jeans instead. I actually own this exact jacket, but wanted to show you the fit…not to mention, share that it’s on sale. Which it wasn’t when I bought it. #annoyed It’s insanely warm, but not puffy or bulky at all, and actually packs small into its own hood, so great for travel, too. 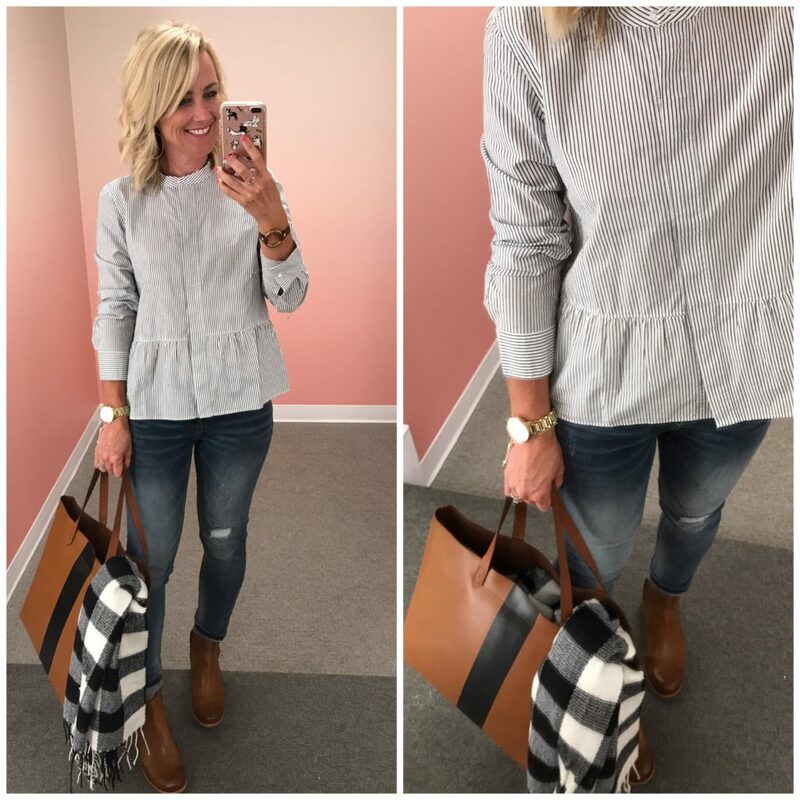 Fit Tip: I sized up to a small so there was room for layering underneath. 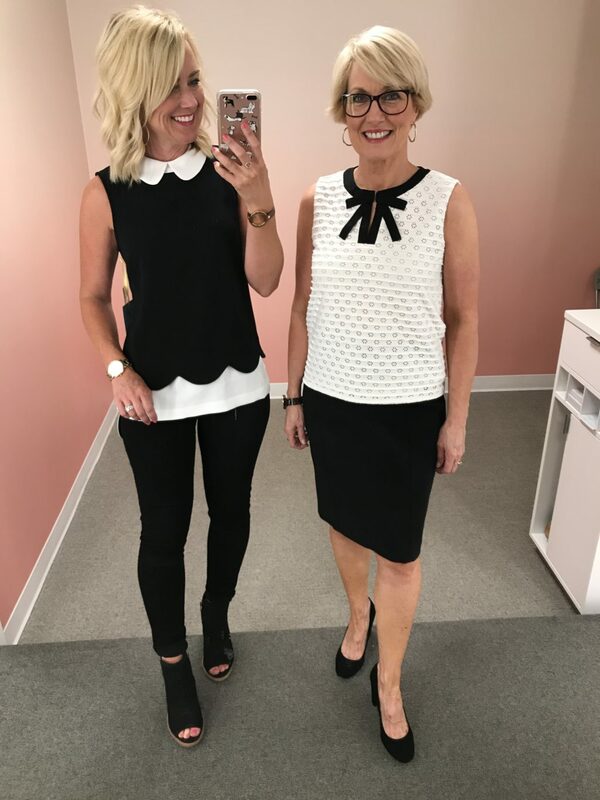 We found some darling Work Wear options, starting with this scallop color-blocked top with a layered look. The crepe material makes it good for dressing up, or transitioning to evening, too. These black jeans are super soft and stretchy, and fit a bit like a jegging. I’ll wear them with boots, sneakers and these perfect peep-toe booties. 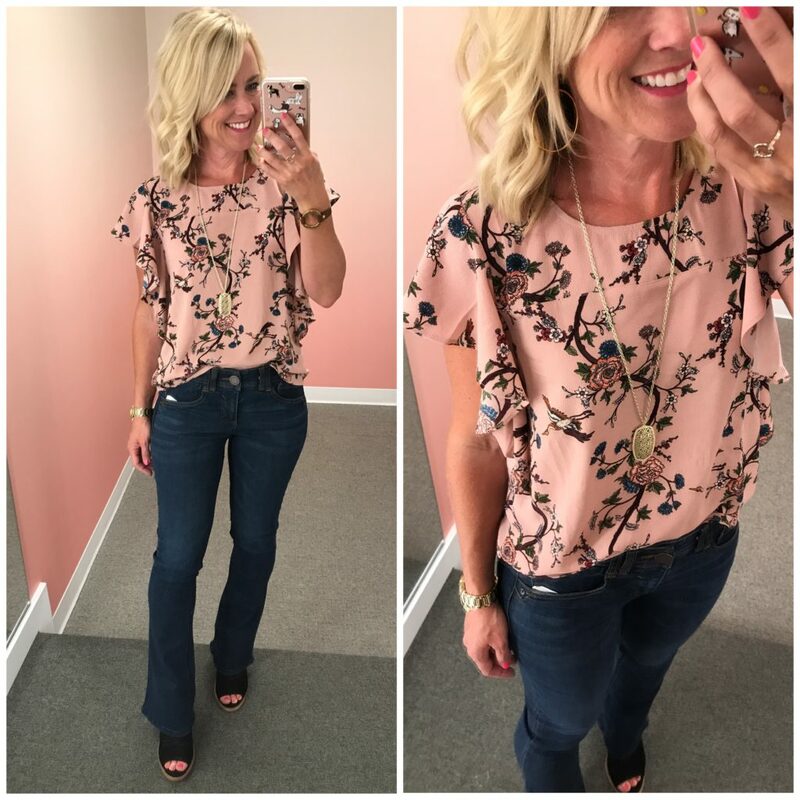 Fit Tip: All pieces are true to size, I’m wearing an XS top and 26 jeans. This jacquard knit top is both sweet and sophisticated, and also dresses up or down for Work and Weekend. It falls to the hip, so it can be worn out, but is still long enough to tuck in. I paired it with my favorite uber-flattering pencil skirt and velvet pumps (all on sale!). 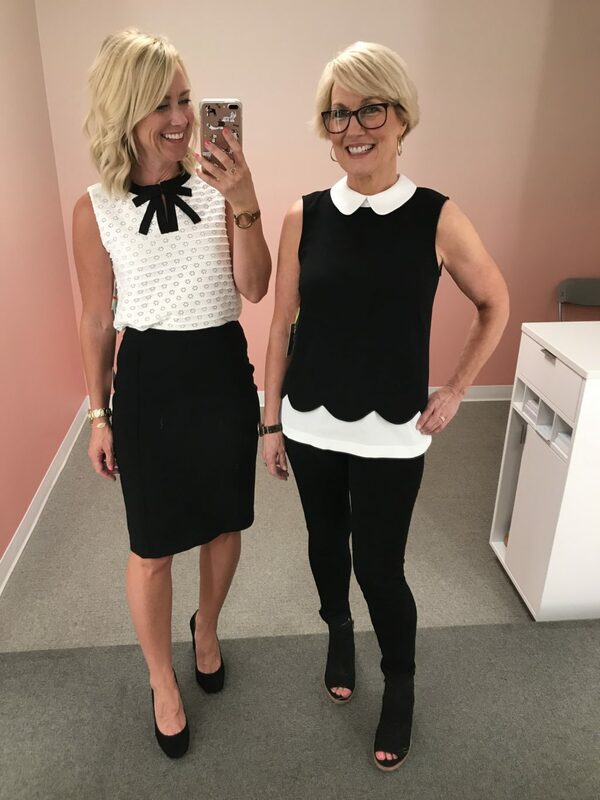 Fit Tip: I’m wearing an XS top, and sized down one to a 0P in the skirt. Of course it’s all darling on Mama SP, too. She wears a 2P in the skirt, and a 26 in the jeans. 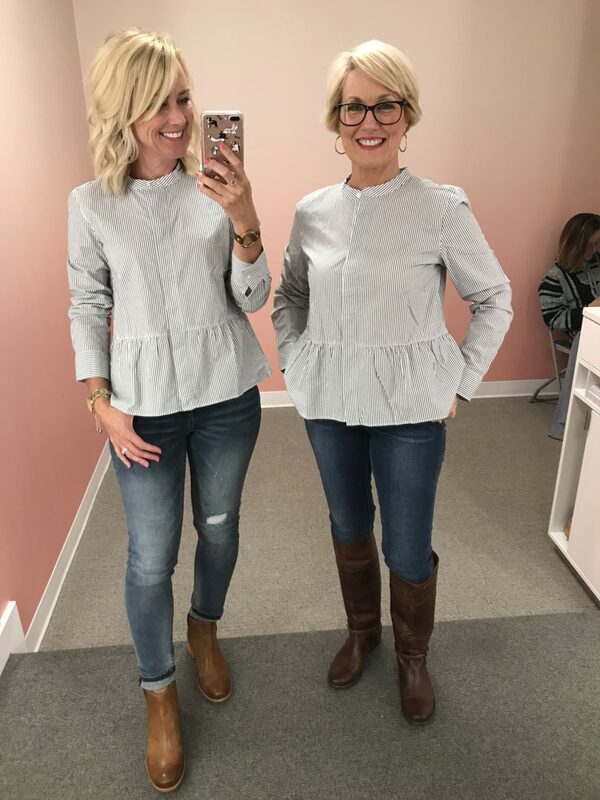 This peplum top is another great versatile piece, and has a fun asymmetrical hem and flattering darts at the waist and bustline. The velvet pumps are classic wardrobe staples. Fit Tip: I’m wearing XS petite in the top, 0P in the skirt and 26 in the jeans. The pumps are true to size, as well. Fit Tip: I’m wearing an XS in the top, but it’s snug across my chest, so I’d recommend sizing up one. 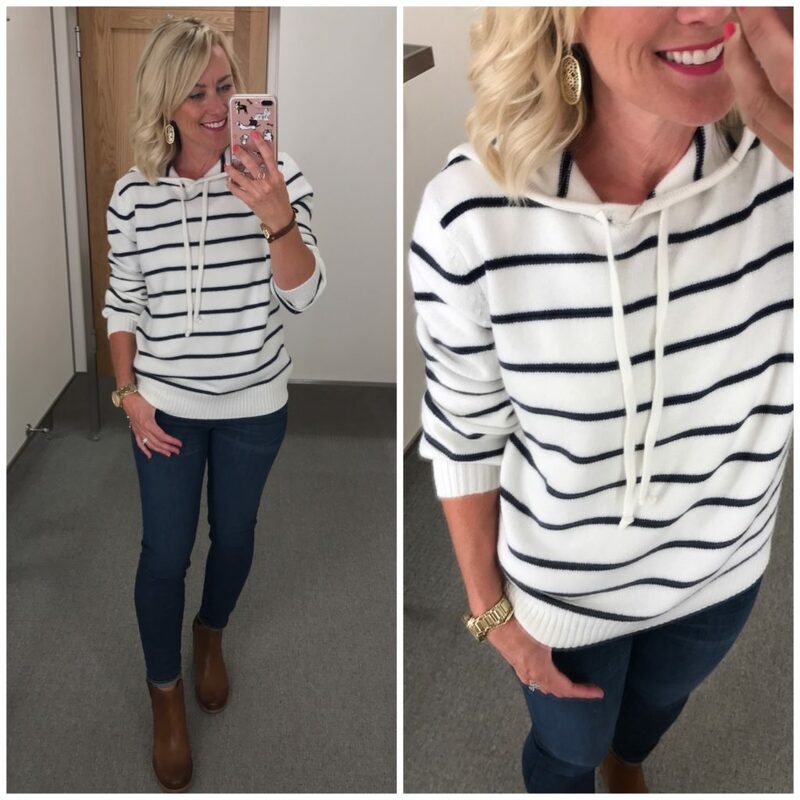 Like I could resist trying a striped hoodie…especially when it’s cashmere! Obviously it’s super soft, and looks cute with jeans, but it would be fun to dress it up, too. I shared these gorgeous cognac booties with you last week here. Fit Tip: I’m wearing a small in this pic, and it’s a relaxed fit. I’d like it sized down with skirts, too. And how cute is it on my mom, especially with the gorgeous riding boot?! 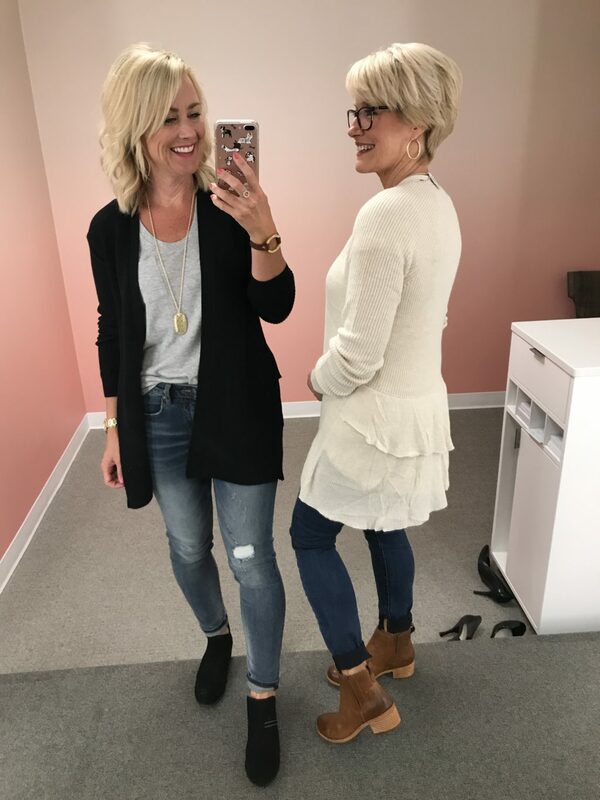 How could we not love a long cardigan with a darling ruffle back? It’s fairly lightweight and the ribbing makes it stretchy. The longer length makes it perfect with leggings, too. Fit Tip: We’re both wearing XS petite. 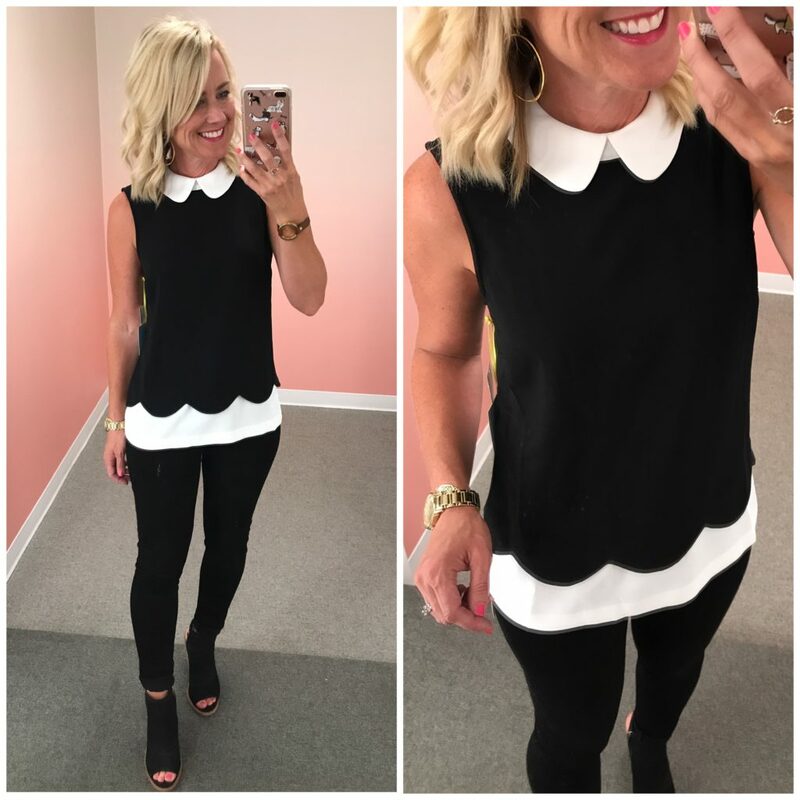 The peplum craze doesn’t appear to be going anywhere soon, and you won’t hear me complaining. 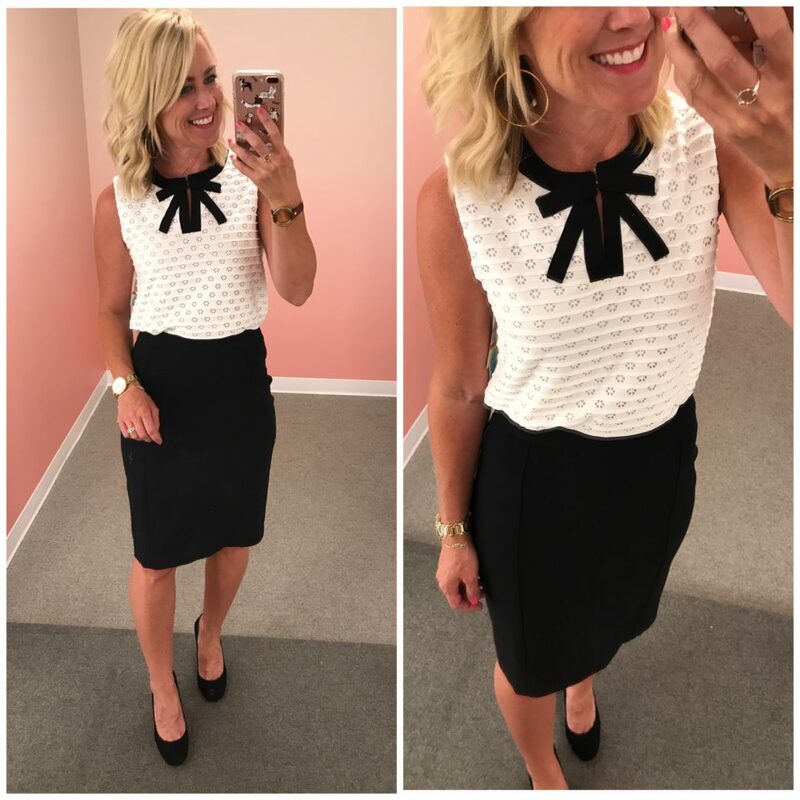 I like the fun detail it adds to tops, plus it’s flattering. This top is a crisp cotton with banded collar and pinstripe. Adore the bag and plaid scarf, too! Fit Tip: I’m wearing a small in the shirt, the XS pulled at my shoulders and across the chest a little. 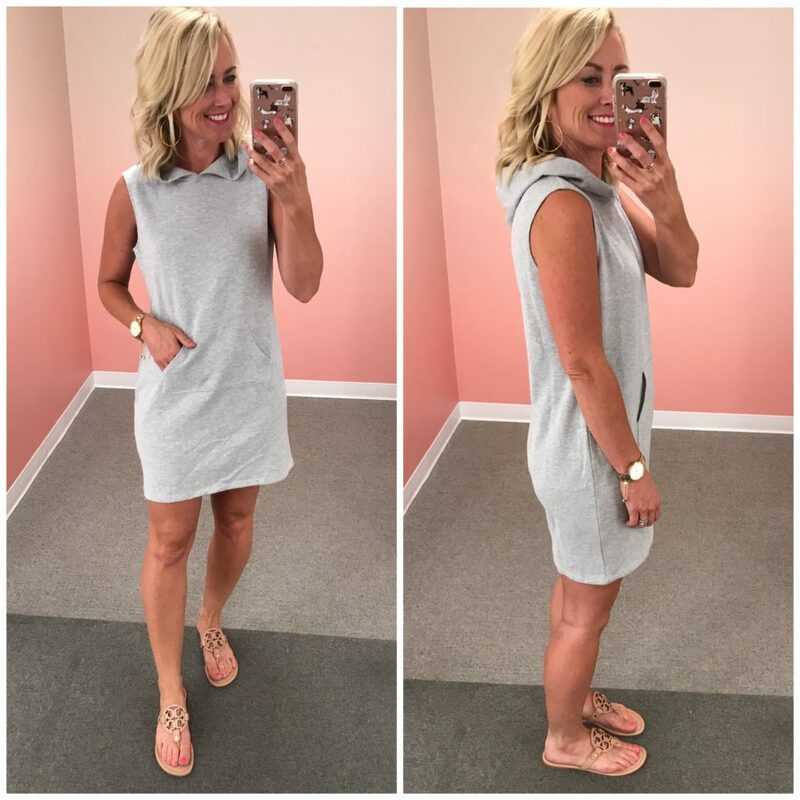 This cotton dress feels like a cross between a t-shirt and sweatshirt, and has the cutest Sporty Spice vibe. It’s cute with sneakers, but I’d probably wear it as a cover-up since it’s on the shorter side. Fit Tip: I sized up to a small. 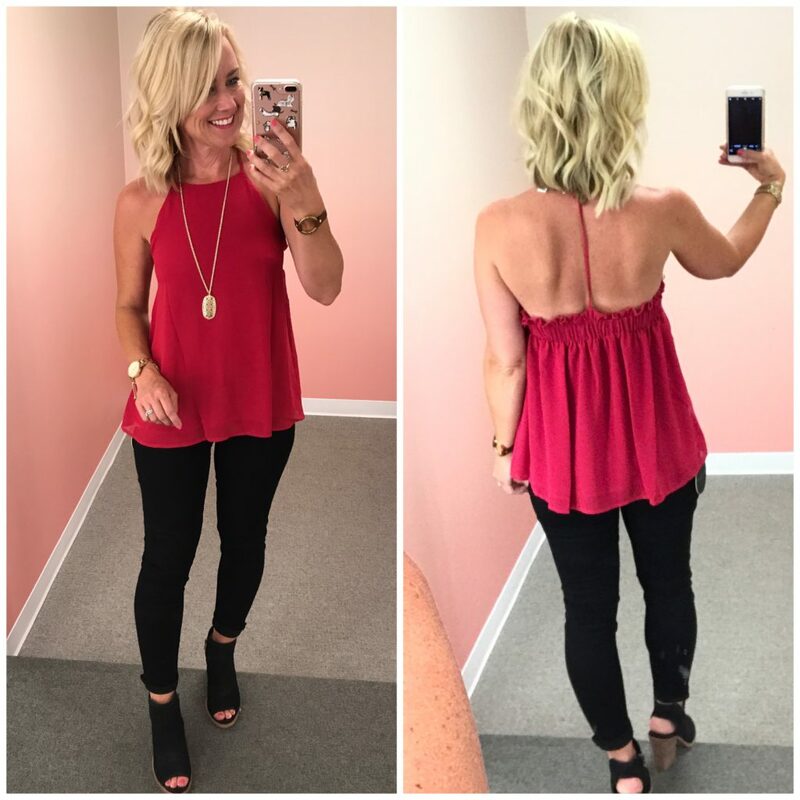 This top is a crisp cotton with fun ruffles at the neck and shoulder, plus it dips down in the back (but not below the bra strap). It easily pairs with jeans or shorts, but would dress up with a skirt or slacks for work, too. It also comes in white, but I thought the coral was fun and a bit unexpected. 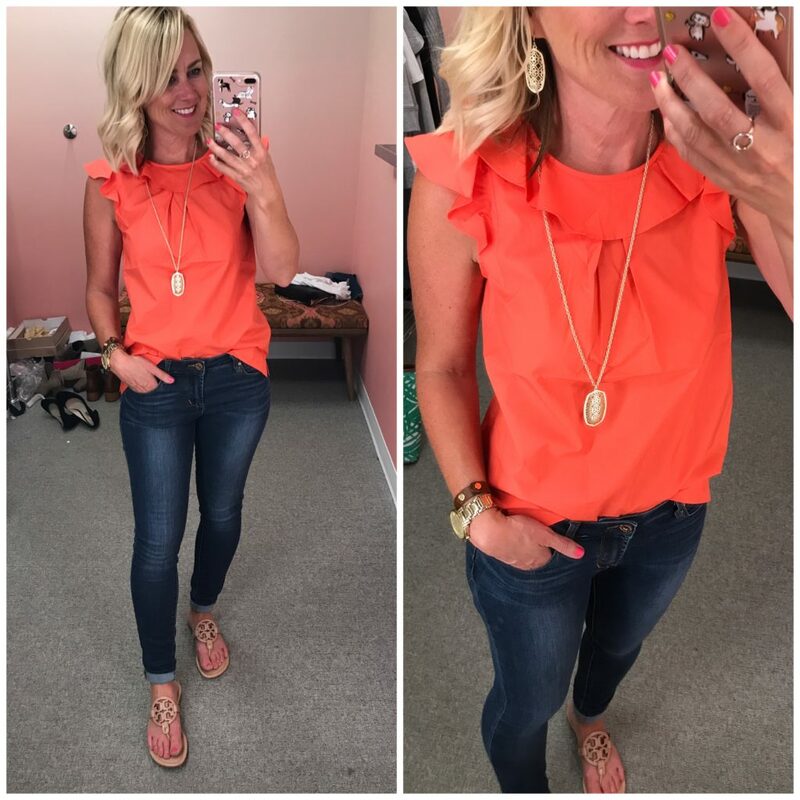 Fit Tip: I’m wearing a 0 in the top, and a 26 in my favorite dark rinse jeans. Another great cardigan option, this one in a thin merino wool. The length makes it perfect for layering over a camisole or blouse for work, but also with tees and jeans on the weekend. The other hero in these outfits, though, is the booties! 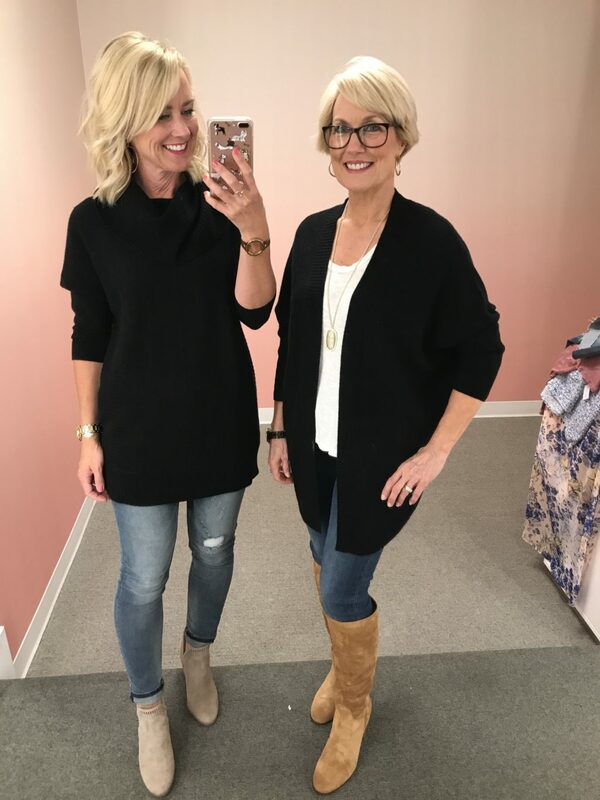 Fit Tip: We’re wearing an XS sweater and tee, but size up one-half in the booties. 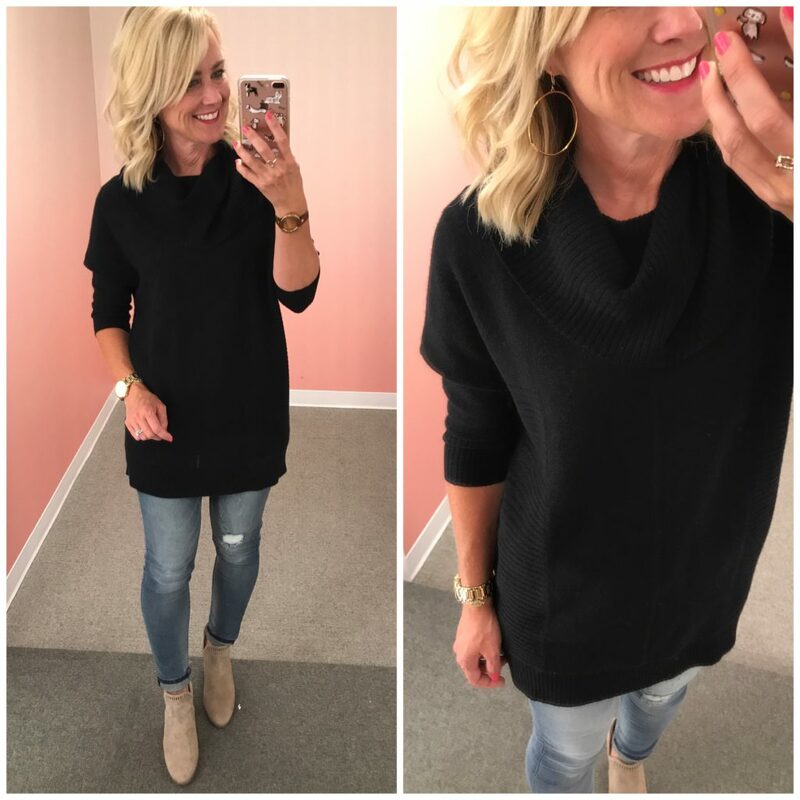 This cowlneck tunic sweater is a gorgeous cashmere, but under $85 thanks to the sale! It’s soft enough to wear without a layer underneath, and long enough to wear with leggings. 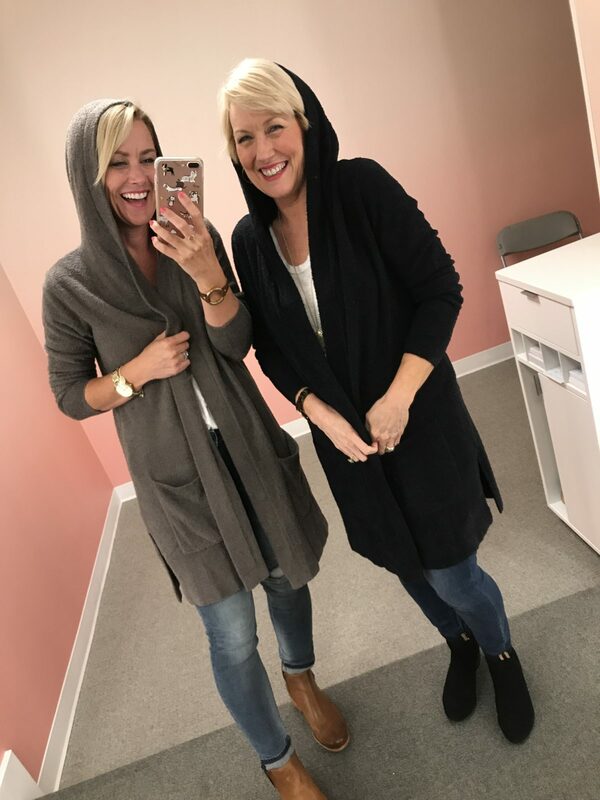 Another cashmere option under $100, this one with an open front and dolman sleeve. It’s lightweight and soft, but not sheer. Of all the necklaces included in the sale, this tiered one and this pendant are my favorites. Fit Tip: This one is one-size. 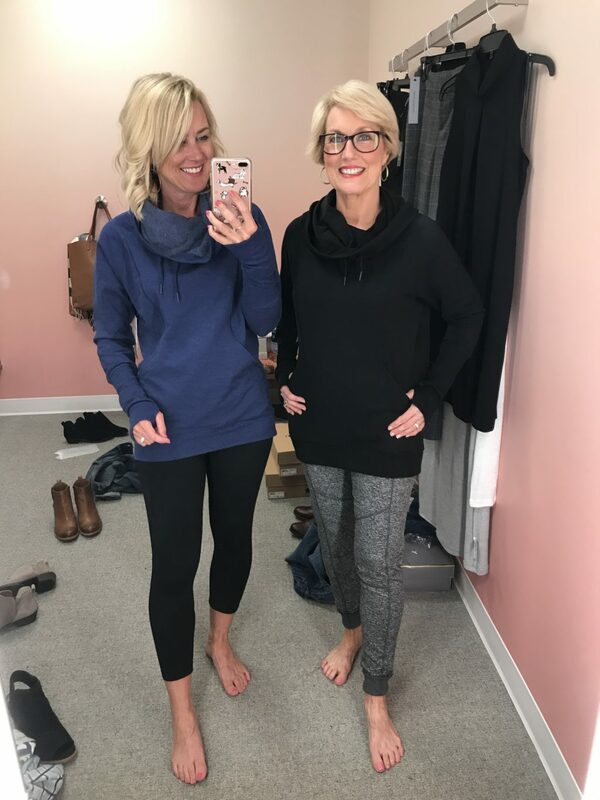 Mom tried the tunic with these leggings, and declared them soft, thick, and stretchy…so basically perfect! And under $30! 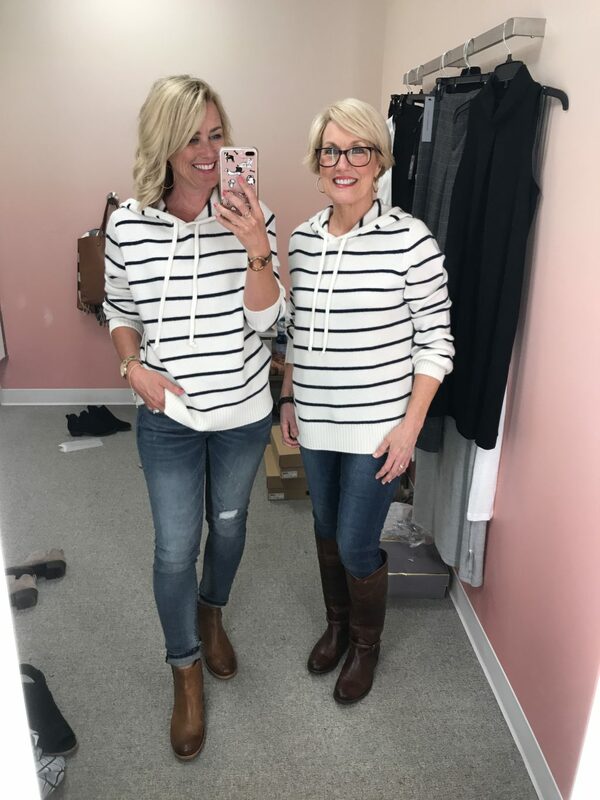 Moving on to activewear, we both loved this pullover hoodie sweatshirt with cowlneck. It was thick with a soft, fleecy lining…perfect for chilly morning dog walks. 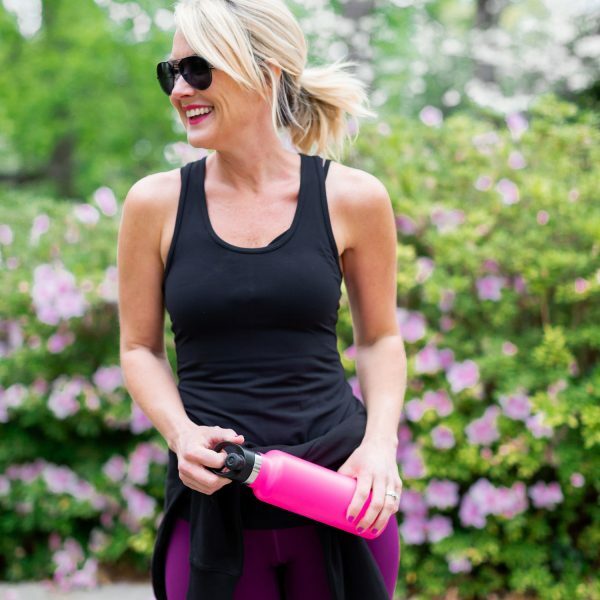 My leggings are thin and stretchy with a comfy, wide waistband, and her pants are a relaxed-fit jogger style. Fit Tip: We sized up to a small in the sweatshirts, and the pants are XS. Speaking of soft and comfy, this pajama set is a lightweight, cool, and silky jersey knit, with cute piping detail. They look like pajamas twice their price. And don’t get me started on these slippers!! Ohmyword…like walking on a cloud, with an actual sole on the bottom, so you can walk outside in them, too. Merry Christmas in July to me! Fit Tip: I’m wearing a small, which is a little big, but I prefer more length in the shorts. And here’s the same set in a different pattern, and also a long pant version. We loved them and the slippers. 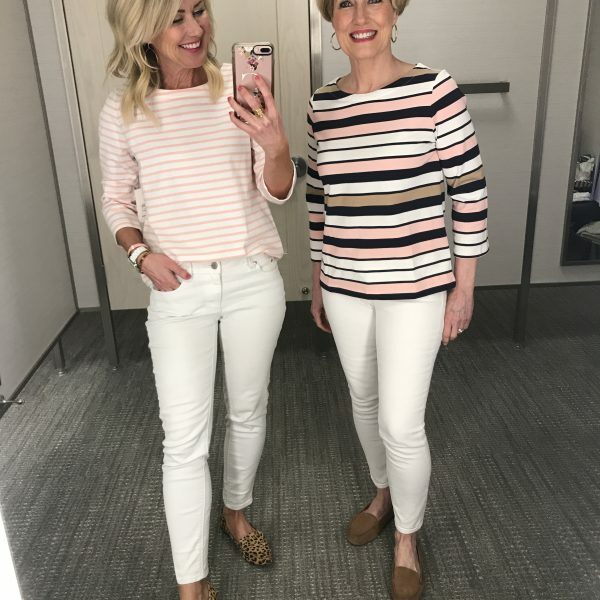 Fit Tip: We’re both wearing smalls, but size up in the slippers! 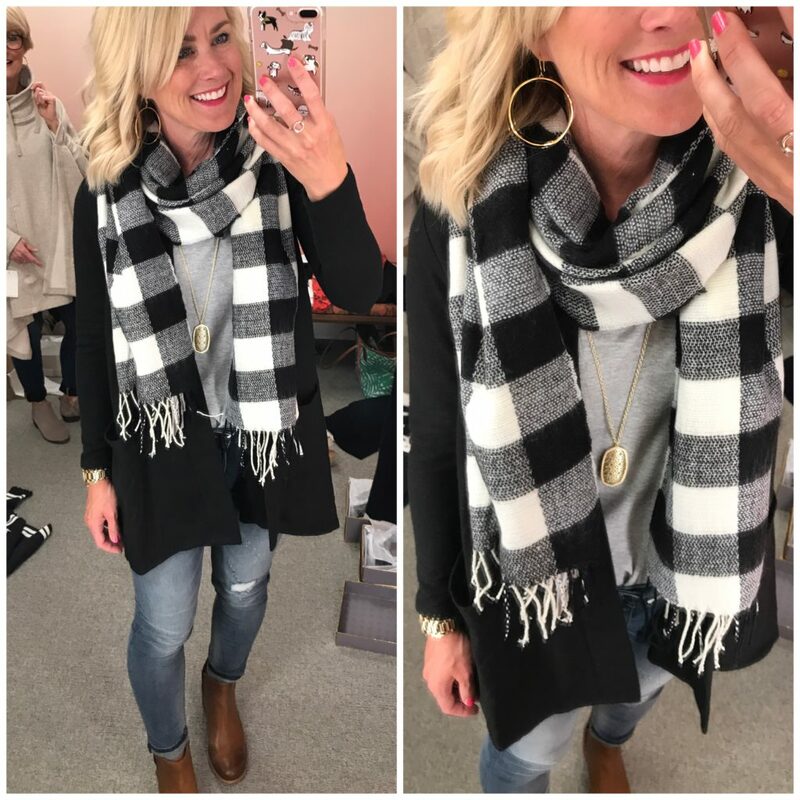 And finally, it may seem crazy to think about scarves now…but trust me, you’ll be glad you grabbed this one while it was only $15! It’s not scratchy or too oversized. Honestly, we loved everything we’re sharing, and I’d be happy to own any of it. Now I just need the temperatures to drop about 50-degrees so I can wear more of this great stuff!! Believe it or not, I still have more things to show you….but that will have to wait until next week because if I say ‘darling,’ ‘comfy,’ or ‘perfect’ one more time, I might gouge my own eye out. So what are your favorites? 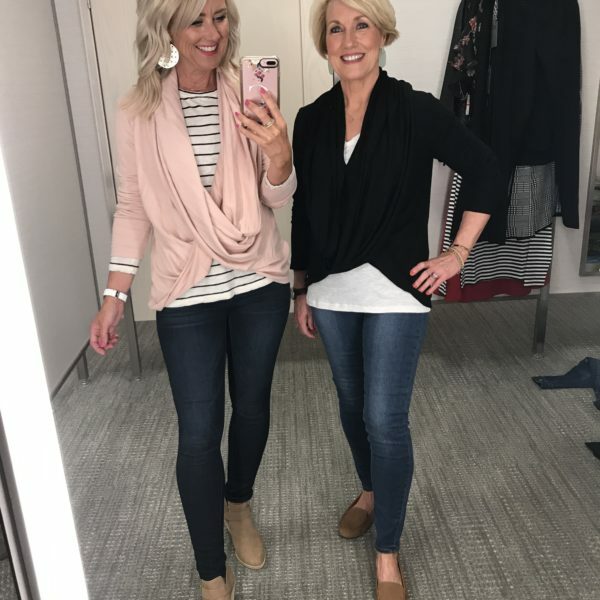 What are you grabbing from the Nordstrom Anniversary Sale today?!? Make sure you check out my first round of picks here and here. 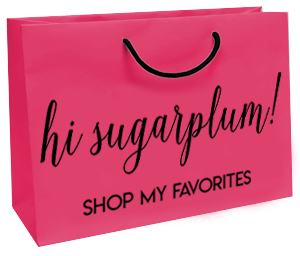 Happy weekend shopping, lovebugs! P.S. You can find all my Anniversary Sale favorites by clicking the yellow shopping bag in my sidebar, or under the Shop tab. I’ll be updating it as I try new things until the end of the Sale! Haha, love the photo of you and your mother in matching PJ’s! All so. Yet! My favorite is the pale pink floral top with ruffled sleeves. If I weren’t pregnant it would be mine! This years barefoot dreams cardigan seems the softest. I’m having trouble choosing!! What a fun post! As always, you featured perfect pieces for curated closet staples. I just love Momma Sugarplum’s eyeglasses. Would she mind sharing the brand and style name? Thank you! Cassie, as always you and your mama make it all look so cute!! Y’all are simply the cutest! 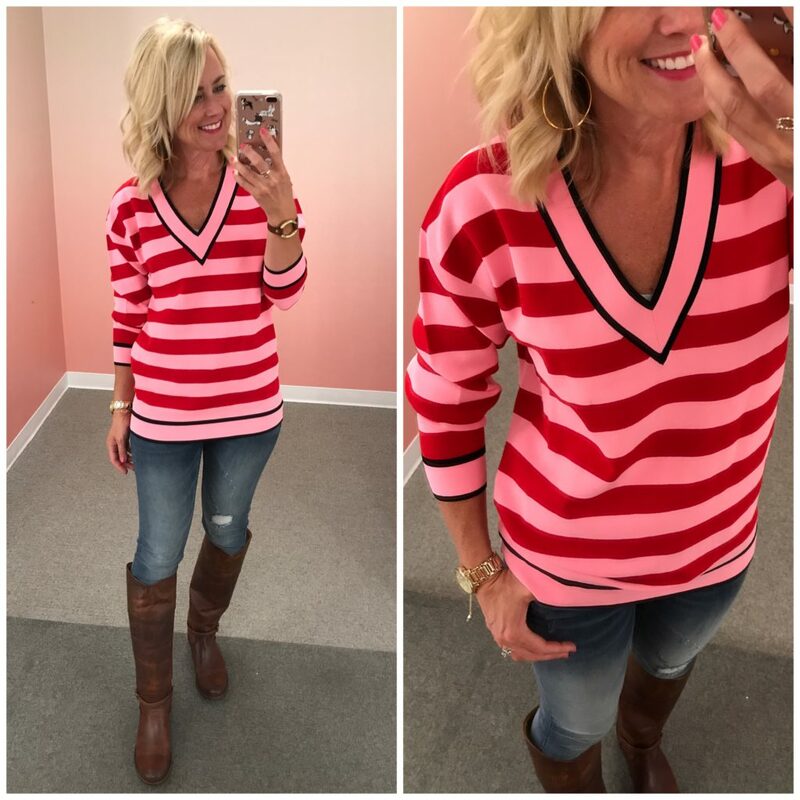 I love that red and pink sweater! I haven’t seen that in the sale yet! I went a little overboard again this year, but there is just so much great stuff! I got the pink floral shirt too. I love it with the maroon skinnies I picked up! I did some damage this morning and you were right-it did kind of feel like Christmas morning! 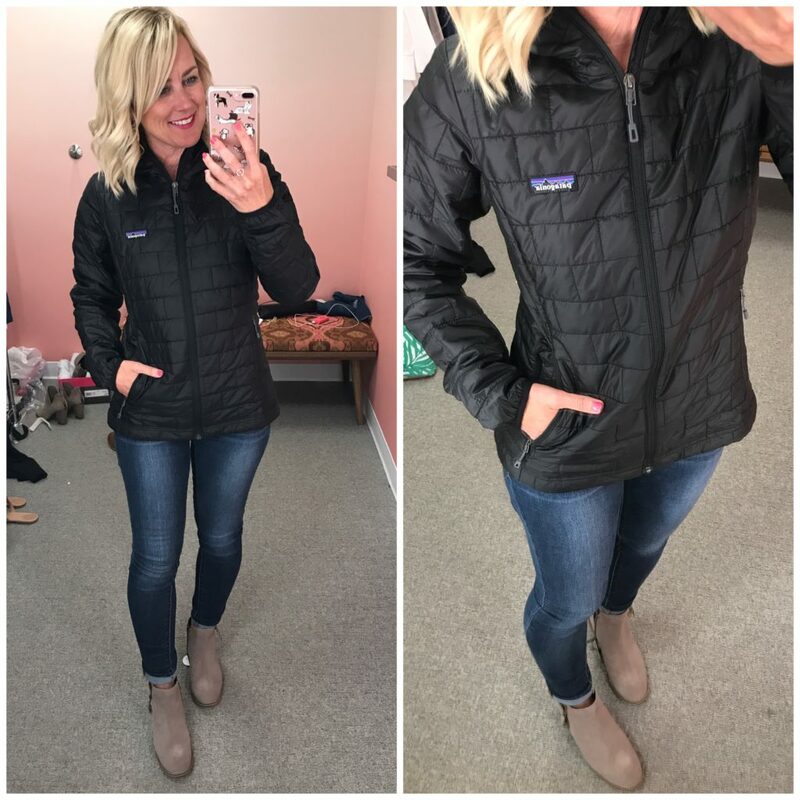 I ordered the shorter Hunter rain boots in slate gray (sad they were sold out of the navy), jeans, Kendra Scott earrings and the waterproof booties. Do you know the likelihood of re-stocking items during the anniversary sale? I really wanted to try the jeans you linked above. The Zella workout clothes and the PJs look SO COMFORTABLE! You gals are just darling! Love reading about all of your favorite finds! 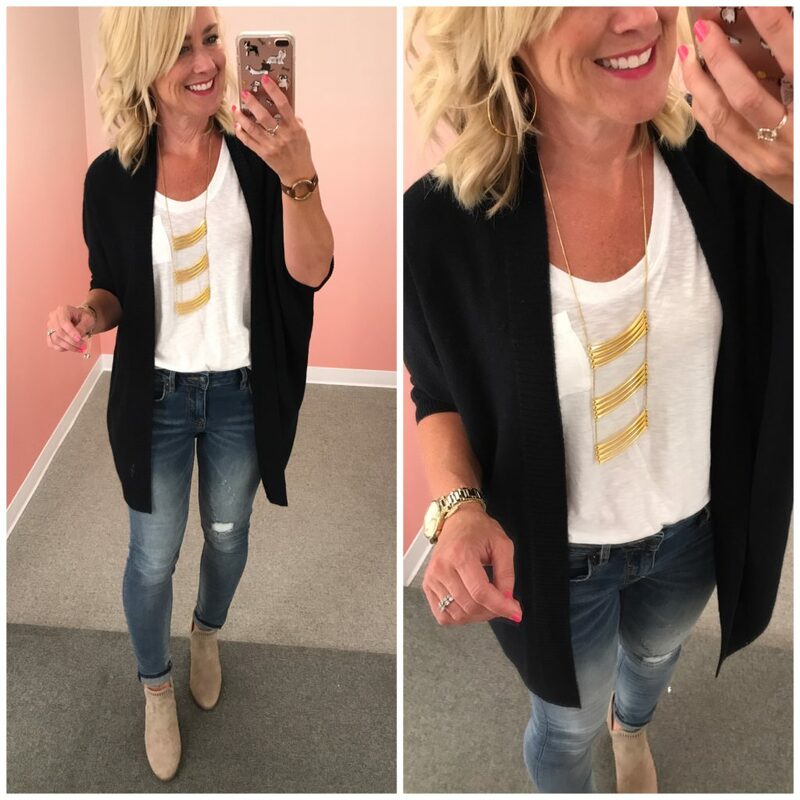 This was my favorite blog post on the Nordstrom sale! You and your mom are just so cute! I ordered so many things! I’m particularly excited for the Vigoss jeans and that plaid scarf to arrive! Love your style, Cassie! You two are simply beautiful! Thanks for sharing!